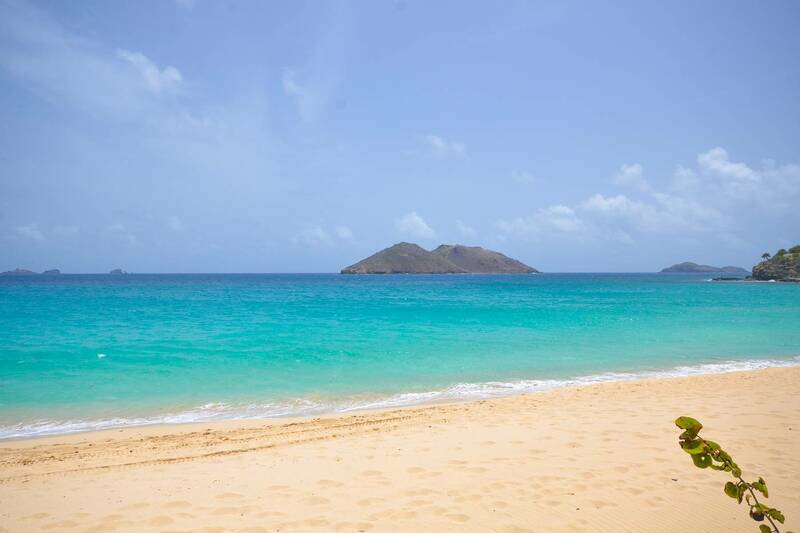 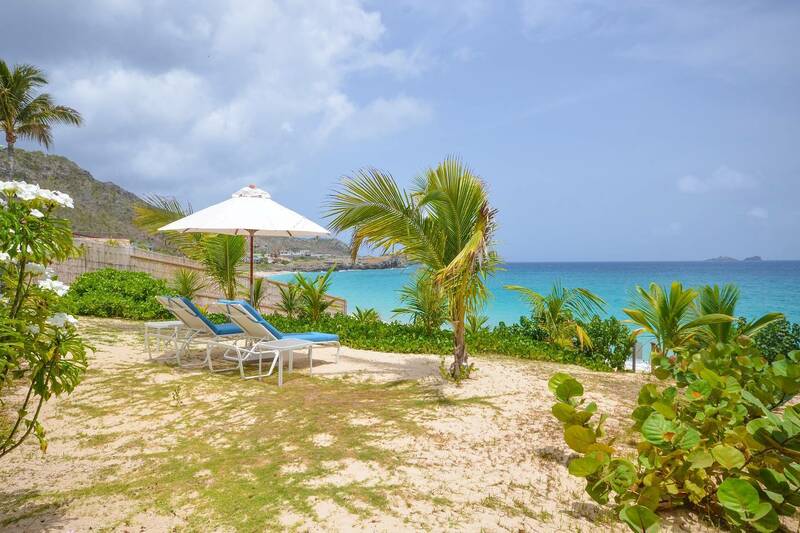 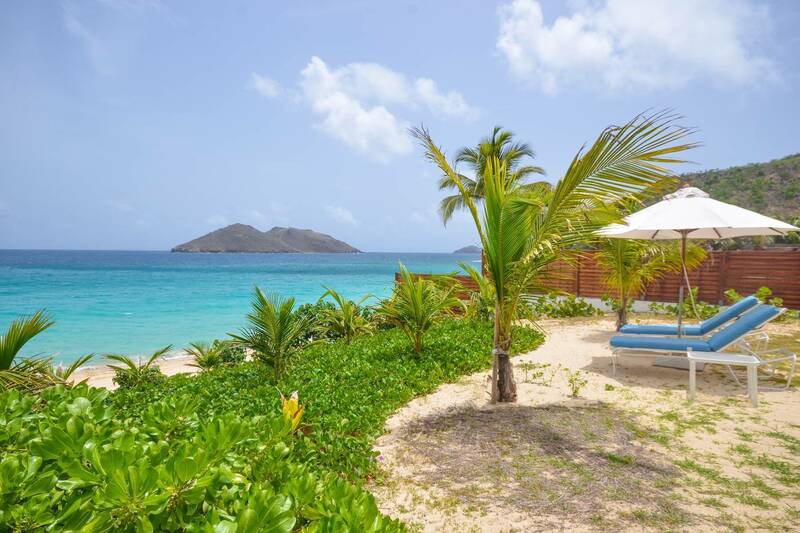 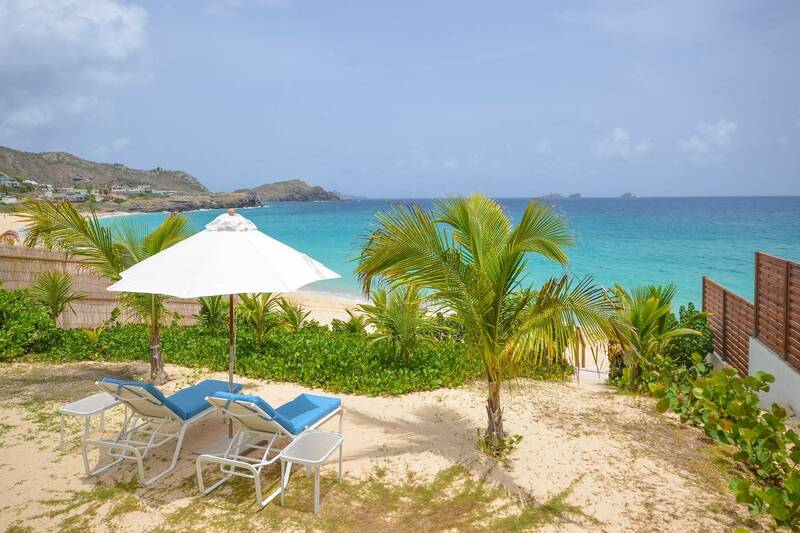 Dream About: A beachfront villa vacation on one of St. Barth’s most gorgeous beaches – Flamands. 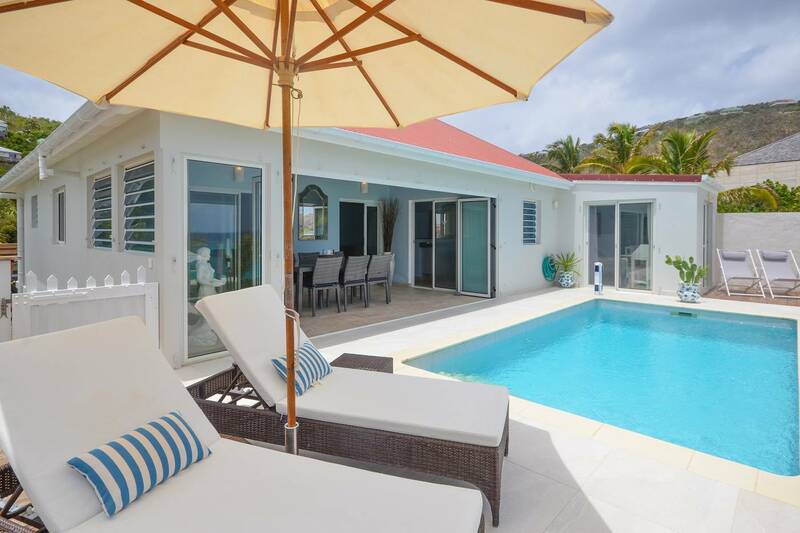 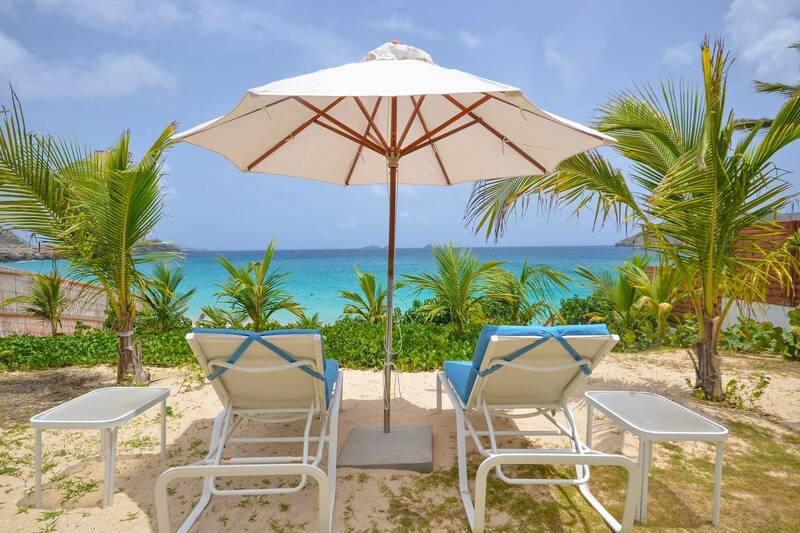 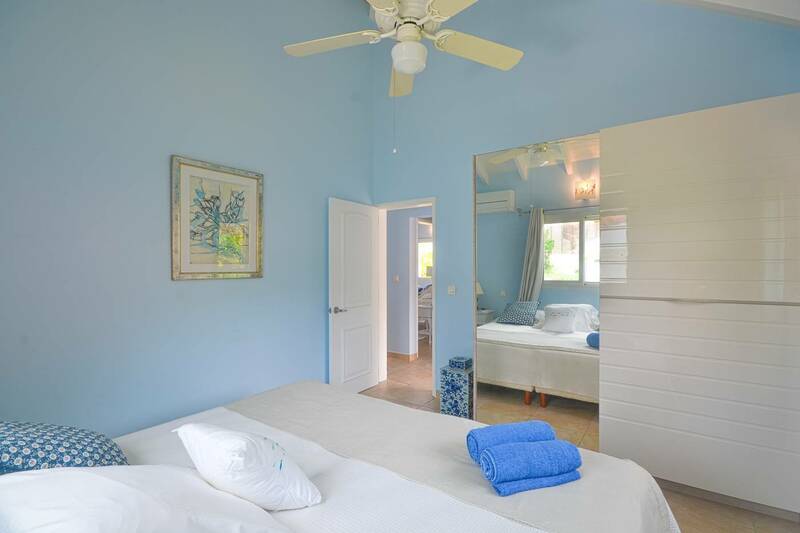 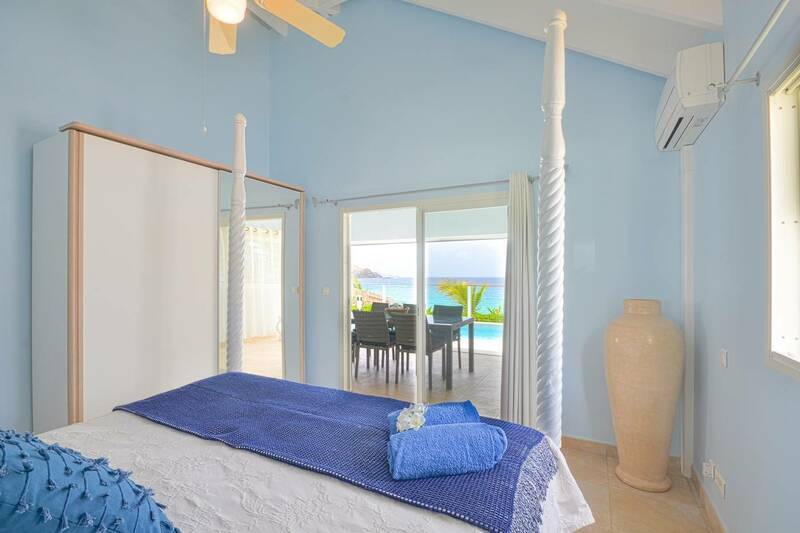 Beach-y casual, the delightful two-bedroom Villa La Sirène offers guests a St. Barth vacation experience on beautiful - and popular - Flamands Beach. 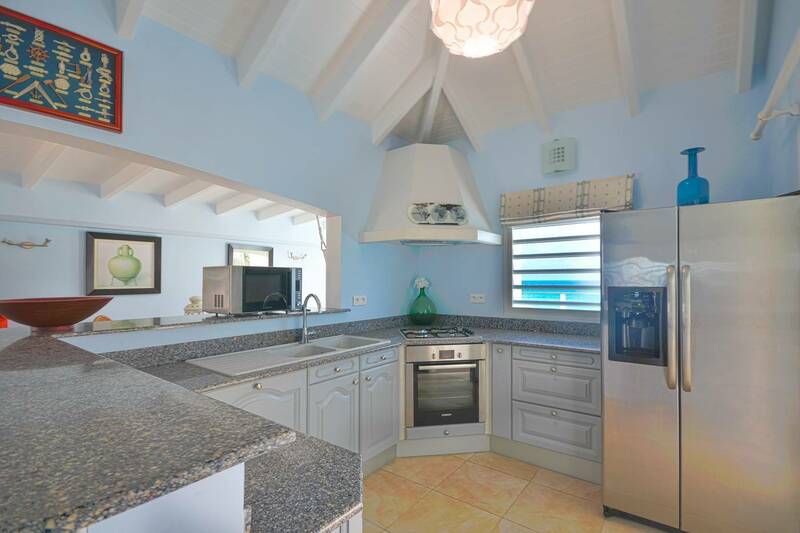 A comfortable living room is ideal for feet-up TV viewing and is adjacent to a compact well-equipped kitchen with a breakfast bar. 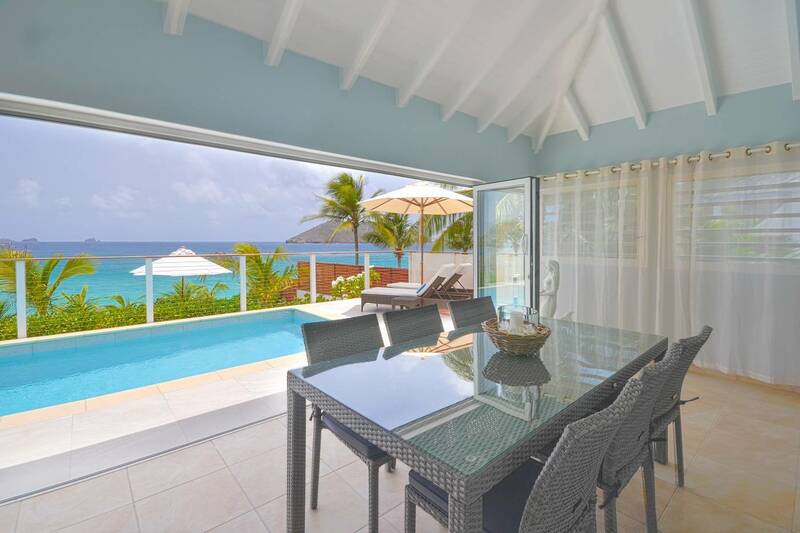 A glass enclosed dining area seats 6; its folding doors open to the pool terrace, ocean breezes and the sound of the surf. 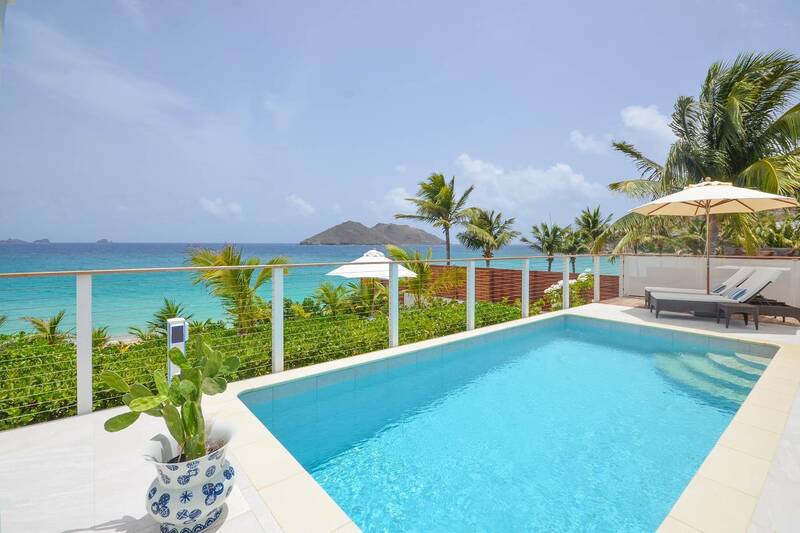 The pretty swimming pool is "guarded by a mermaid" and a palm-tree shaded beach area is just steps away. 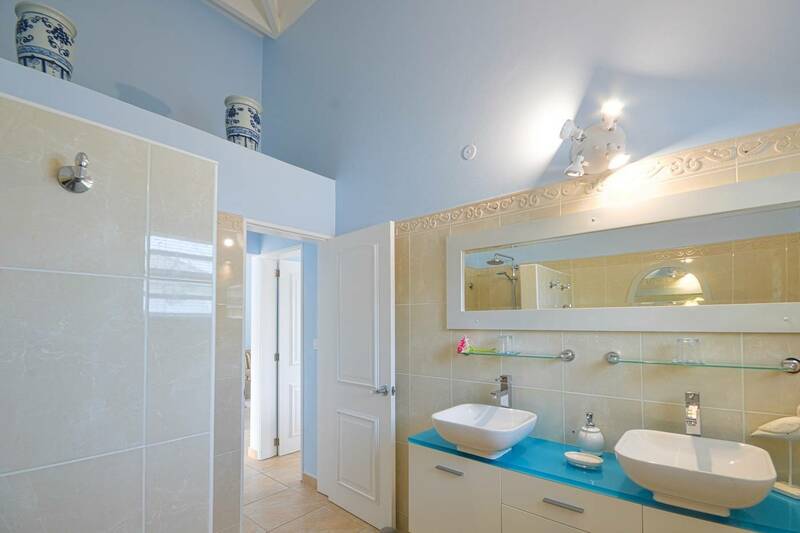 The two (king) bedrooms share a bath, the WC is separately located. 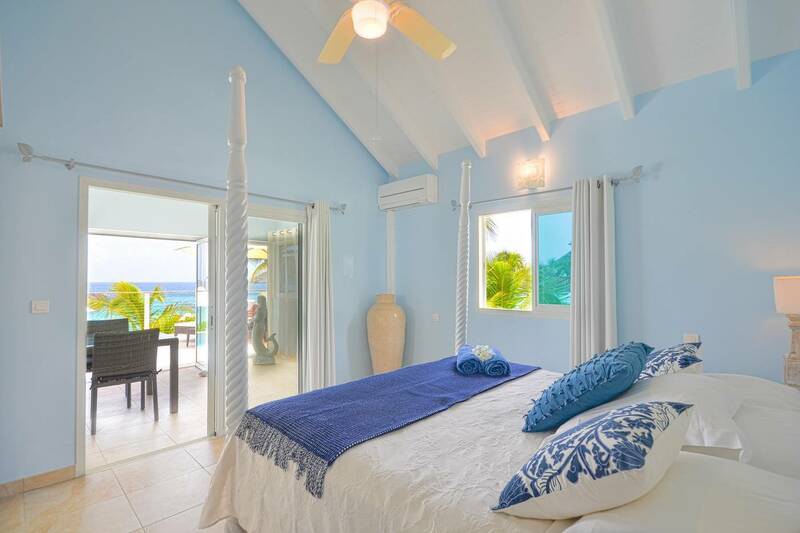 A home-office-style alcove provides a quiet spot for reading and email checking. 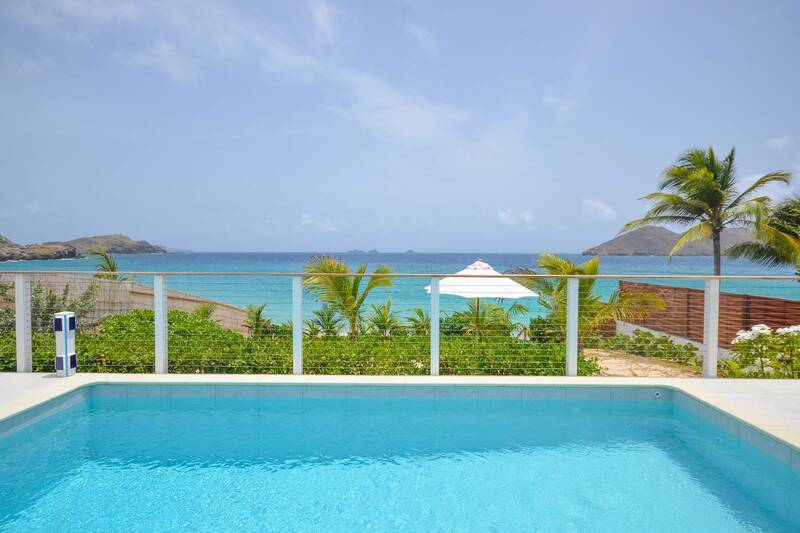 The perfect villa for beach buffs; guests also enjoy walking to the oceanfront Hotel Cheval Blanc St-Barth Isle de France and the neighboring Taïwana hotel for lunch, dinner and seaside cocktails. 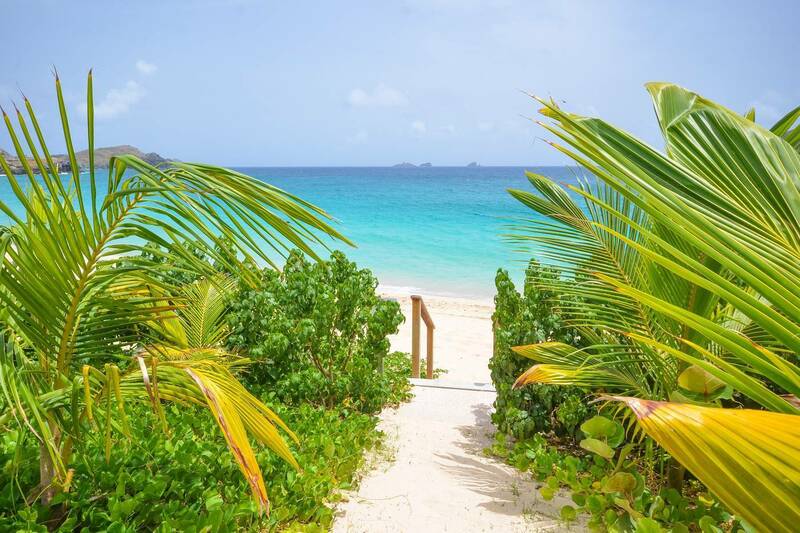 Walking to the nearby luxurious hotels for meals – and cocktails. 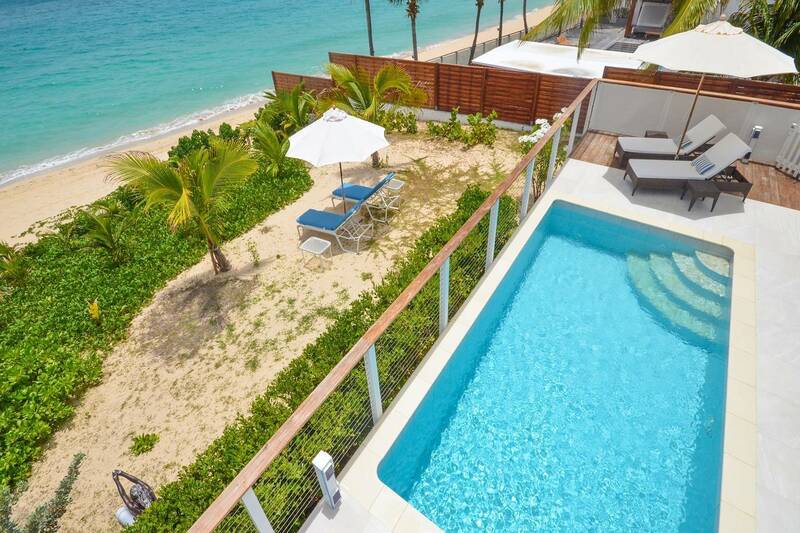 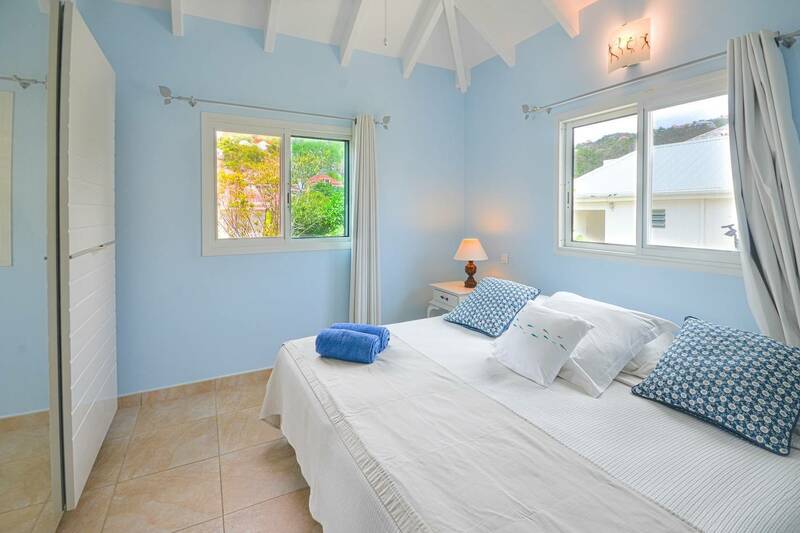 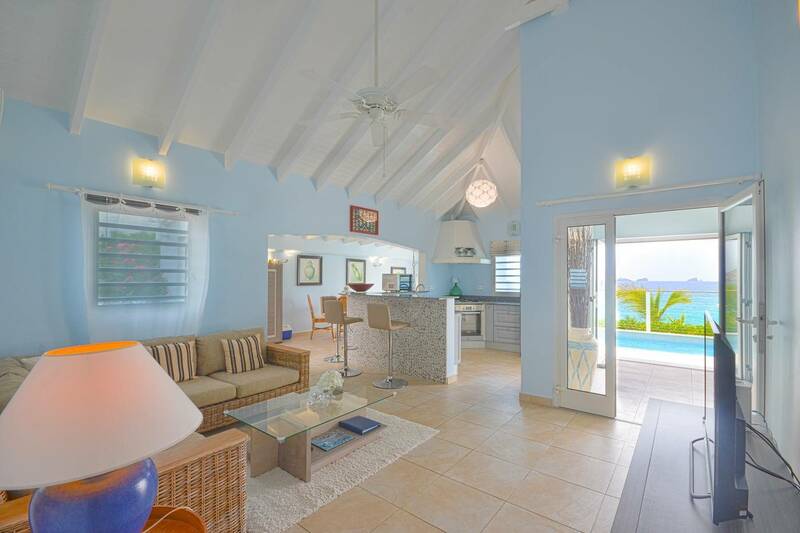 A casual, comfortable beach house; 2 bedrooms share a bath; a terraced pool is steps from the beach.